Most of you know that I have had 3 blocks selected for publication in Quiltmaker's 100 Blocks Volume 8, Volume 9, and Volume 10. You can see them here, and here, and here. It has been such an honor to be selected for their magazine. Now what most of you don't know is that for 2 years now, I've applied for the Quiltmaker Scrap Squad Team and I've been rejected both times. 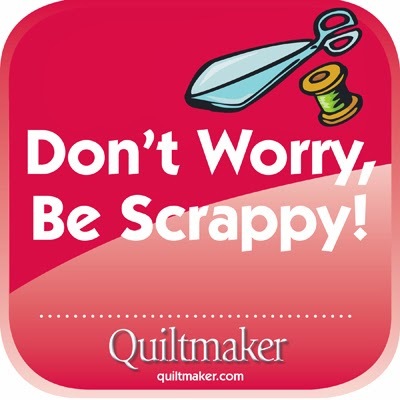 For some of you, that may not be such a surprise as I have mentioned several times on my blog that it's a challenge for me to make scrappy quilts. I have to "plan" all of my scrappy quilts. 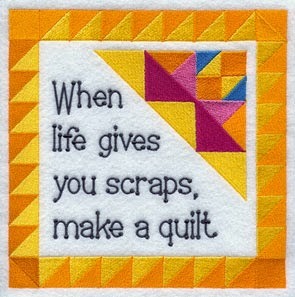 And while that is true, I still LOVE scrappy quilts. This is one of the first quilts I made that I did the least amount of "planning" on. Yes, I planned it somewhat but I allowed myself to be liberated once in a while. It was for my son Drew and his wife for their wedding gift almost 4 years ago. Then last year about this time my attitude and perspective changed dramatically when I took a class taught by Bonnie Hunter, the Queen of Scrappy Quilts. Much thanks to my friend Linda, who DRAGGED me to the class. You can read about it here. Bonnie changed my way of thinking and brought me out of my box.... kinda.... I don't have to "plan" quite as much as I used to and with practice, maybe I'll get there... someday... or maybe not. So you know how the old saying goes, "when one door closes, another one opens".... Yep it opened it big and wide. 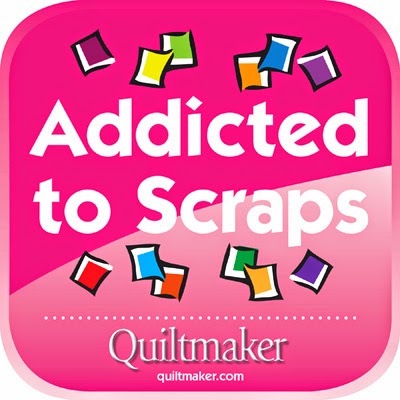 This year when I got the rejection letter saying no to Quiltmaker's Scrap Squad, it was followed with an invitation to become a member of a brand spankin' new group.... "ADDICTED TO SCRAPS"